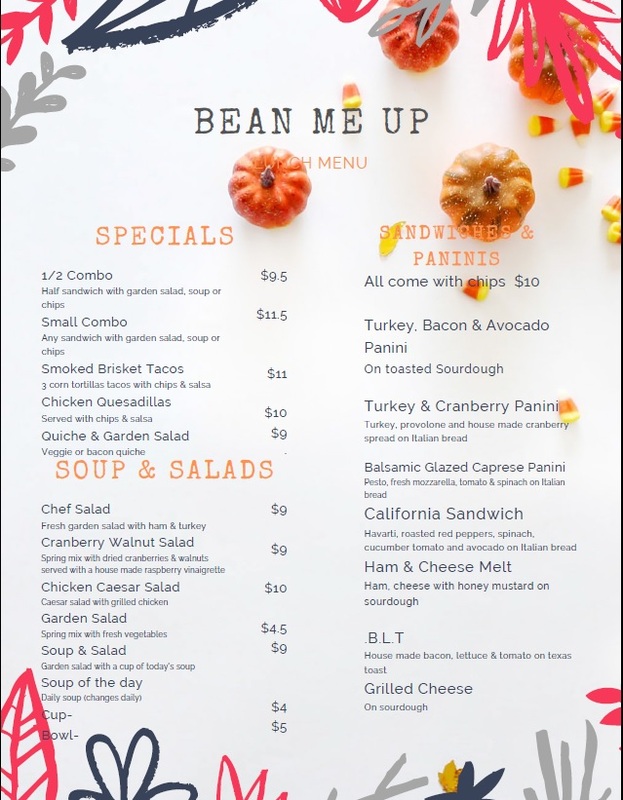 Chef Sheila's Against the Grain Bistro has expanded adding to Bean Me Up Coffee which is located in Historical Kelly Square in Downtown Sherman, Texas. Established in 2014 by owner, Pastry Chef Sheila Kluss with Chef Mike, her husband have continued to service up specialty Coffee but now has shifted their breakfast and lunch menu under a new name. Chef Sheila's Against the Grain Bistro has the not your usual eats and drinks in mind! The perfect fit of spice and artful tastes to create a gourmet lunch in a casual environment at an affordable price. Working together creating everything from a classic Panini, Soups, Quiche, specialty Salads, and Bean Me Up Coffee with out of this world desserts and pastries. We have also, under the name, Chef Sheila's Against the Grain Catering are offing a variety of Menu Selections to ensure that your event will be one to remember. Since the opening of Bean Me Up in 2014 the CoffeeHouse has been in the Top 3 Winners for The Best of Texoma award every year. Bean Me Up won the best CoffeeHouse category for The Best of Texoma award in 2015. You can also locate Bean Me Up on Trip Advisor and Downtown Sherman Now.